In 2013, Emily Ann Peterson was diagnosed with a degenerative neurological hand tremor, which forever altered her two-decade livelihood as a cellist, string-arranger, and cello teacher. Refusing to lose her life's love of musical expression, in an act of neurological defiance she accepted an award of a 6-week artist residency to write new music in the Cascade Mountains of the Pacific Northwest. "My grief broke through a creative glass ceiling I never knew existed." says Peterson. She returned from the mountains with an armful of songs, some of which fans can now find on her self-titled EP release from 2014. While touring the US, her interactions with new audiences prompted a question, "If they say I'm brave, then why does this still feel like fear?" Thus began her research which spanned 2 years of interviewing everyday heroes in pursuit of the true meaning of bravery. These conversations led to Peterson's discovery of the 12 ingredients of bravery, which are reflected in the brazenly honest guidance of her bestselling self-help memoir, Bare Naked Bravery: How to Be Creatively Courageous. By practicing the concepts in her book, readers are able to fully "show up" in the world -- learning to cope with medical conditions, breakups, divorce, depression, and a multitude of other challenges. Her long-awaited, debut full-length folk-pop album, Covered in Clover, releases in July 2019. Emily Ann Peterson co-produced the album with Gary Mula, former owner of the Dutchman and Calleye studio -- an early rehearsal space for grunge legends Nirvana and Mudhoney. She called upon other members of her musical family in Seattle, WA -- including Eric Howk of Portugal. The Man (Atlantic), Andrew Vait of the band SISTERS, Jess Alldredge (Gospel Song/Tooth & Nail), Alina To of Passenger String Quartet, and Scott Morning (Origin). Together they tracked 9 songs in a historic burlesque venue, The Columbia City Theater -- the perfect setting for a choir of horns, sweeping symphonic references, and melodies that only a former cellist could compose. Since recording Covered in Clover, Peterson relocated from the Pacific Northwest to Nashville, TN and has also found a home as a teaching artist and consultant. Fortune500 companies, executives, and tech startups seek out her expertise in creative courage, entrepreneurship, and growth strategy. Fans who are also small business owners and solopreneurs can find a place to belong online in The School of Bravery, a learning lab for creative visionaries. The school was founded by Peterson in 2018 and teaches creative entrepreneurs how to prepare, launch, and recover from their own seasons of bravery. Emily Ann Peterson is a TEDx speaker and an alumnus of the Rawls College of Business at Texas Tech University. She currently holds or has held membership in the Northwest Symphony Orchestra, Seattle Rock Orchestra, the National Academy of Recording Arts and Sciences (The Grammys), and the Suzuki Association of the Americas. 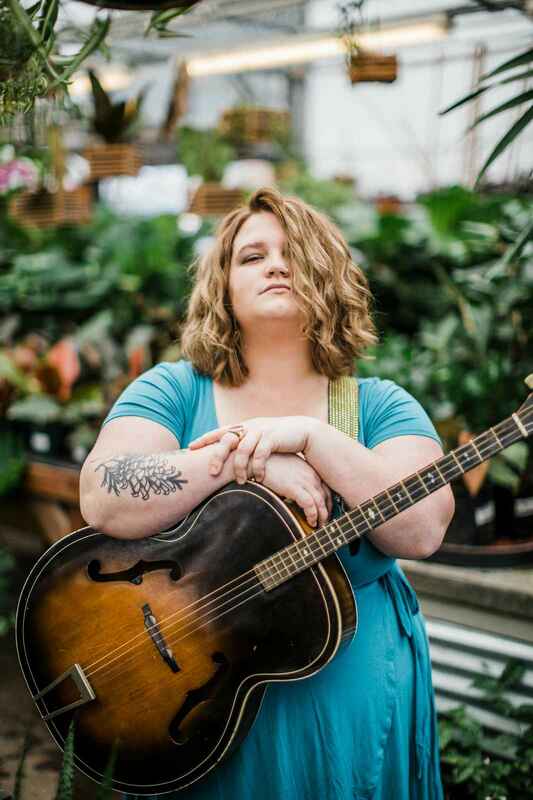 As a collaborative recording artist, performer, string-arranger, and songwriter she has had the honor of working with Sera Cahoone (Sub Pop), Anaïs Mitchell, Shelby Earl, Shannon Stephens (Asthmatic Kitty), The Portland Cello Project, Rosie Thomas (Sub Pop), David Bazan (Barsuk), Karin Stevens Dance, Barcelona (Universal), and many others. Learn more and join her community at www.emilyannpeterson.com.